This simple and sweet salmon recipe with roasted red peppers and baked sweet potatoes can be completed in under an hour. This recipe uses only healthy ingredients and you can taste the difference. 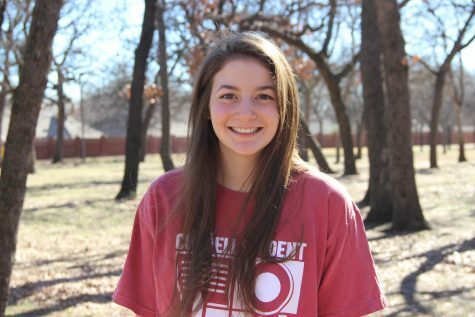 Photo by Aubrie Sisk. Recently, I have become more health conscious and have started to limit my intake of red meats. Salmon is a great lean meat seeing as each ounce has no more than 60 calories depending on the the region it is from. I used wild Atlantic salmon which has 51 calories per ounce. 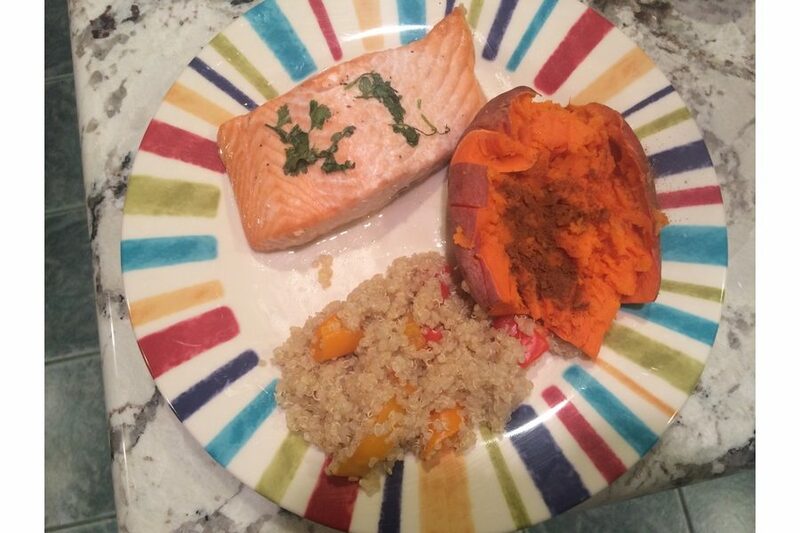 Here is a homemade lemon salmon recipe I created by combining my favorite spices and sides into a meal: Simple and Sweet Salmon with Roasted Red Pepper Quinoa and Baked Sweet Potatoes. Place filets skin side down on baking sheet. Lightly sprinkle salt and pepper over filets. Squeeze ½ lemon evenly onto filets. Marinate 25 minutes covered in fridge. Slice four sprigs of cilantro and place on top of salmon. Bake 14-16 minutes until salmon is fully cooked. Chop peppers into small pieces. Place in medium sized saucepan and lightly season with olive oil. Let peppers cook 7-9 minutes on medium heat. Lower heat to simmer and stir constantly. Remove to cool when timer ends. Lightly squeeze lemon on top of peppers; careful not to add too much. Pour quinoa into 2 cups of water in large pot. Lower heat to simmer for 15 minutes. Quinoa will absorb water and look soft when fully cooked. Sprinkle olive oil on quinoa when finished cooking. Leave on simmer to keep warm. Place in preheated oven at 450 degrees. When quinoa and peppers are done cooking, pour the peppers into the quinoa and mix. Leave mix to simmer on stove until ready to serve.